A magic brush? Could it be true? 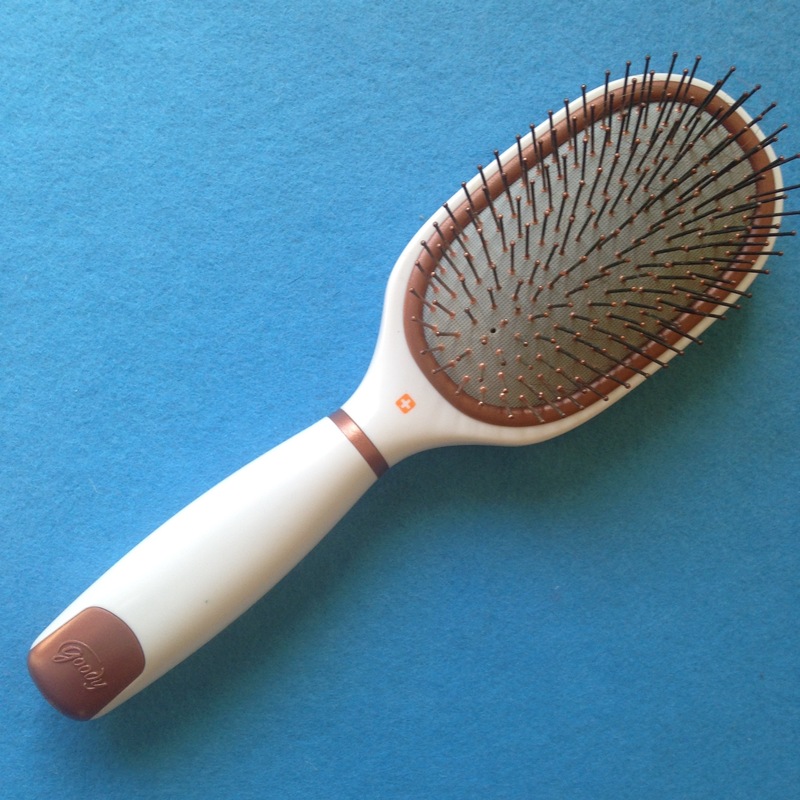 Could a simple hair brush made out of an unusual material actually treat dandruff? Is there really an all-natural way to treat seborrheic dandruff? I saw this while searching Amazon for new products that cure seborrheic dermatitis. 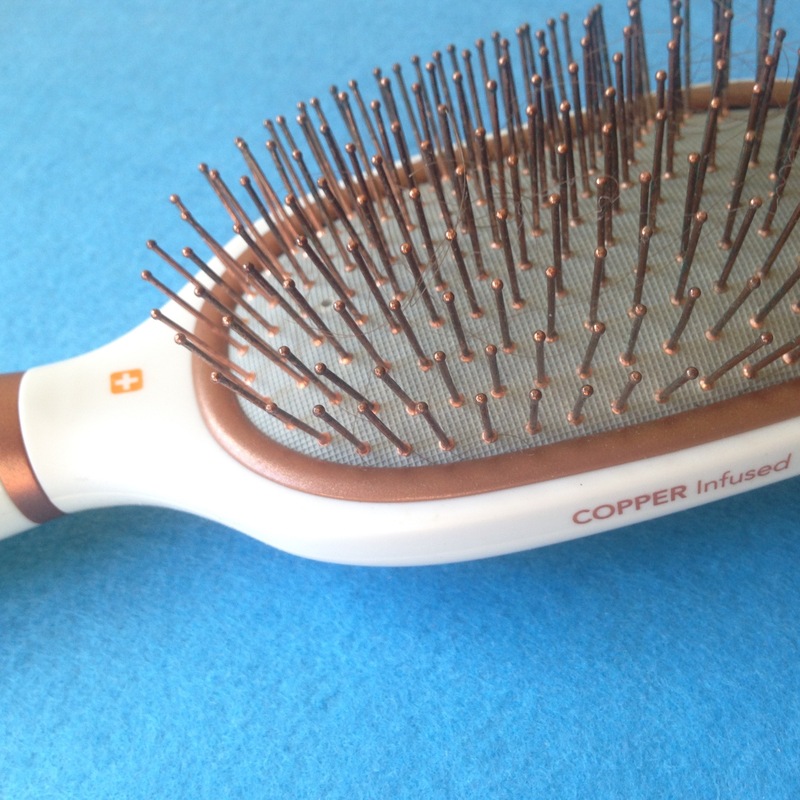 Goody makes this copper brush that claims to kill 80% of the yeast that causes dandruff. I was skeptical but it had great reviews and was only around $10. So I ordered it! So here’s the deal. I use it one to two times daily and saw a MAJOR improvement on my dandruff in just a week. MAJOR. I had actually ran out of dandruff shampoo so I thought I’d go crazy and try using solely this crazy copper brush. (And note that in the past going sans dandruff shampoo/sans any shampoo – I’ve tried it all – has only caused my dandruff to go absolutely bonkers.) I would genuinely say that the brush does more than dandruff shampoo. The key is to make contact with your scalp more than actually brushing your hair. And you should do it for at least a few minutes at a time. I usually use it before I take a shower, just quickly running it over my scalp while the water warms up. (Do not use IN the shower.) I sometimes bring it with me to the couch while I’m sitting there watching my nightly shows. I will brush for ten minutes and my hair gets crazy. But let me tell you . . . it works! Now I’m treating my scalp to dandruff shampoo twice a week and this magic copper brush as often as possible and seeing the best scalp I’ve seen in a decade. For real. Give it a try and tell me if it worked for you too! I bought one of these on your recommendation and I love it! Because I have curly hair I’d gotten into the habit of only using a wide-tooth comb (bad news for SB sufferers!) and because it’s fairly thick I usually can’t get a brush through it but this one works and feels great on my scalp! I use Wen Cleansing Conditioner in Tea Tree and find that to be really wonderful on my scalp as well. It doesn’t have any of the drying chemicals that regular or dandruff shampoos have. Thanks for the great recom! I’m trying the anti-redness and moisturizer you mentioned, too! Oh a comb is fine! This brush is not actually about styling at all,m. It’s just a means for rubbing copper on your scalp, which inhibits yeast (a contributing factor for seborrheic dermatitis). I use a wide tooth comb for styling as well!